You have heard about the upcoming sale right? 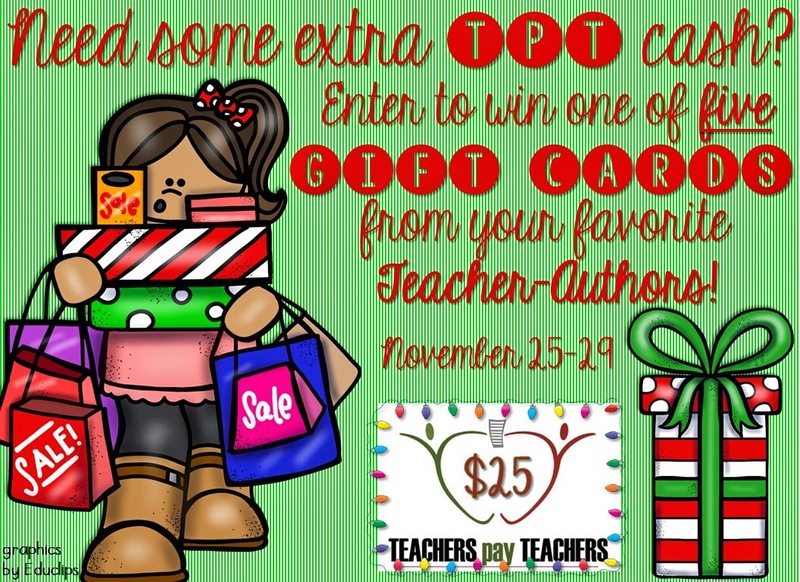 Before you check out your wishlist you may want make sure you entered to win one of the five $25 TPT gift cards we are giving away! Today is the last day to enter. Click the image below to enter if you haven't already... winners will be announced tomorrow! Feel free to grab the banners and link up, too! Share two items that everyone has on their wish list from your store and one item that you have on your own wish list that you'll buy during the sale. 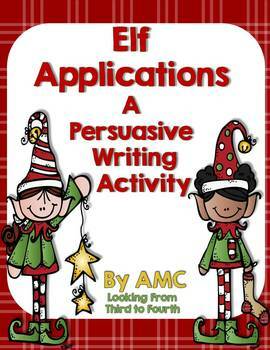 Perhaps it is the season but the number one most wish listed item in my store is my Elf Applications - a Persuasive Writing Activity!! My students have always had a blast with this activity!! In fact we have loved all persuasive letter writing activities - you can check them out in this bundle. 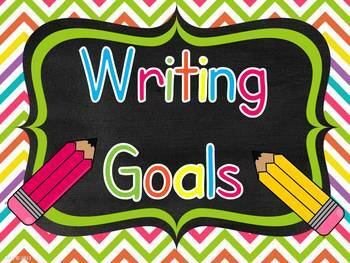 The second most wish listed item is my Writing Goals Chart with Editable Pages. 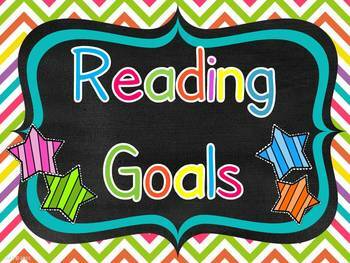 I love using these charts to display the goals we are working on in our class and to make customized goals for students or specific lessons. or the bundle of the two!! What am I going to buy (besides more clipart that I probably do not need!!). 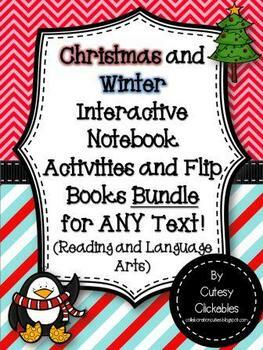 One of the first items I will be purchasing is this amazing pack of Winter and Christmas Interactive Elements for any book!! I was worried that my students may not be able to handle the cutting and pasting involved in creating notebooks, but they can and they love them!!! What I love about this product is that it is not book specific - I can use it for any book that we use!!! Also I love that there are grammar activities too - nouns, verbs and compound words - yes please!! Check out this picture I stole borrowed from their blog. What do you have on your wish list? What do you recommend? Thank you for putting our interactive notebook activities on your wishlist! This year my class gets WAY consumed with coloring...they want to color every little bit of anything we paste in...it's funny and cute but I do have to finally ask them to color in their down time because they really seem to care and want to make it look cute. This is the first year I've EVER had that, and most of it is the boys! I secretly love it though because I like to color mine too!